Many of us are so busy. So busy, that we purposely skip meals to carry out our works that we think should be more prioritize than eating. 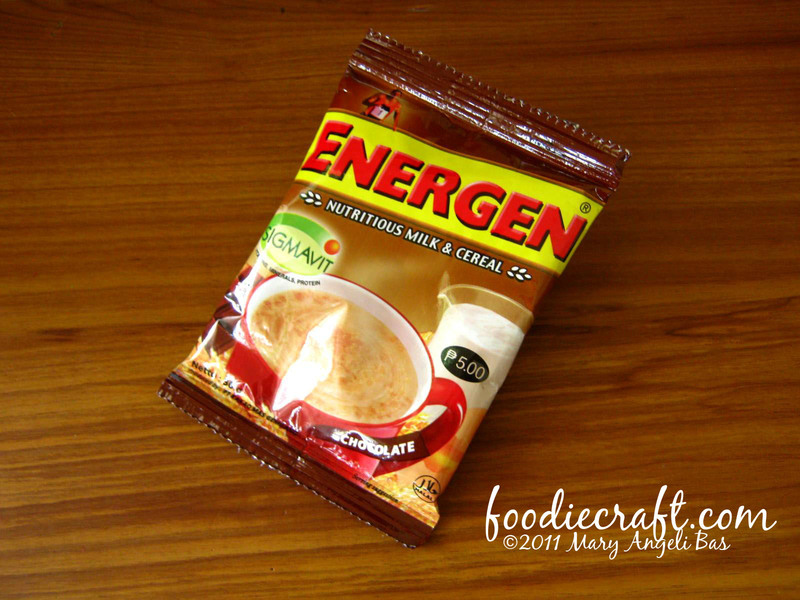 Energen is a nutritious, instant milk cereal. It is made from natural ingredients that will keep your body awake and ready for the day. For a test, chocolate flavor was a pick. You can regard yourself drinking hot chocolate pairing it with soft bits of bread. It is delicious. The taste will leave you wanting for more. 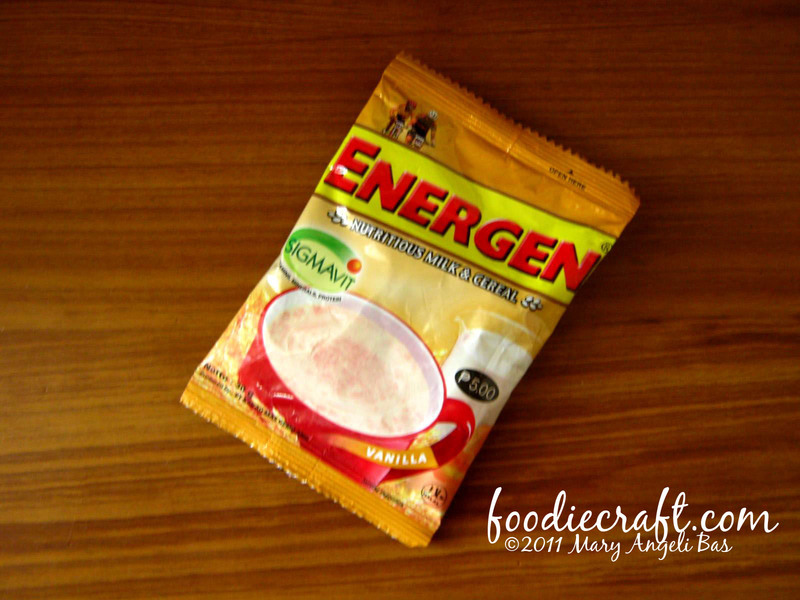 This drink comes in four flavors namely Chocolate, Vanilla, Mung Bean and Milkuit. 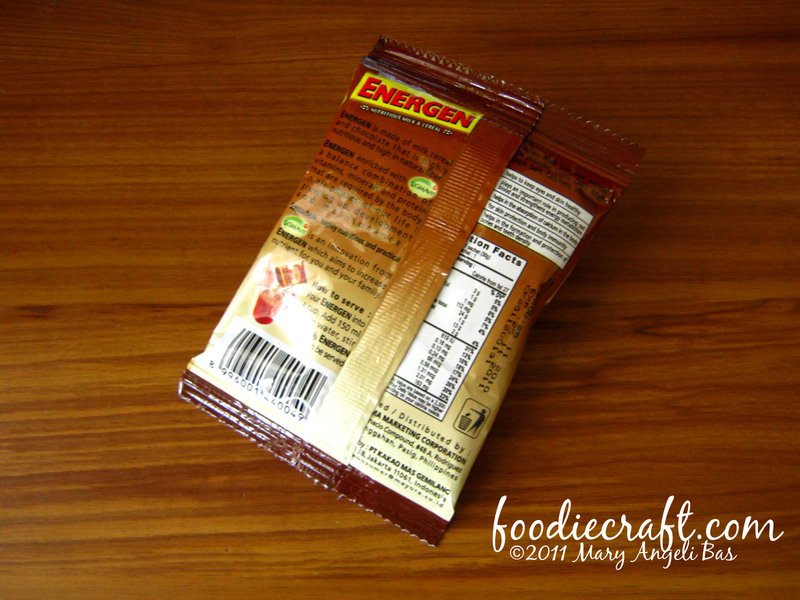 It is sold for Php5.00. Feeling hungry? Thinking you lack time to eat? Grab a mug of hot water and pour out a sachet of Energen.